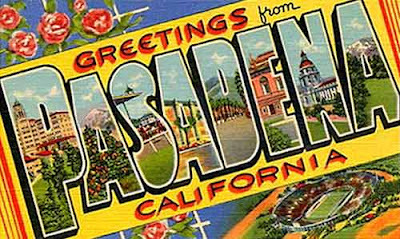 This year’s Souvenir Building Collectors Society’s (SBCS) convention will be held in Pasadena, California from June 12 - 14. Festivities will begin on Friday, June 12, with registration and an architectural tour of the city of Pasadena in the afternoon. A reception, buffet dinner and opportunity to see a great collection continues at 6pm at the home of SBSC member Bob K. Saturday morning begins with a short business meeting and the popular souvenir building sale and swap meet. Building Collector publisher Dave R. will lead a workshop about ‘Photographing your Buildings.’ The group will then move to lunch at the home of member Ken W. to view his collection. In the afternoon, we will have a demonstration on repairing souvenir buildings by Microcosm’s Anthony T. The evening’s dinner and cocktail hour begins at 6pm at the hotel and will include a live auction and miniature building raffle. Early risers will get the opportunity to visit the Rose Bowl Flea Market Sunday morning. At noon, we will take a train to downtown Los Angeles for an architectural walking tour. It will be great fun, so make your plans now to join us in the Golden State to meet fellow collectors and add to your souvenir building collections. Convention details are here. Check out photos of last year's convention here.